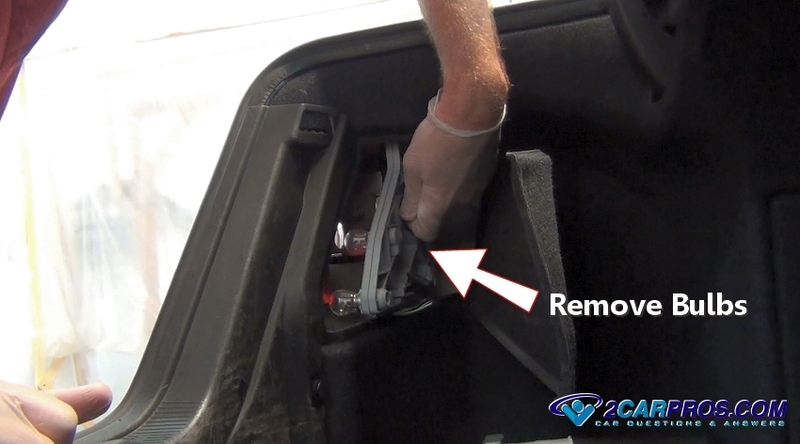 Begin with the vehicle on level ground in park with the emergency brake set, engine "OFF", wear protective eyewear and gloves. 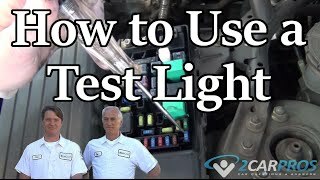 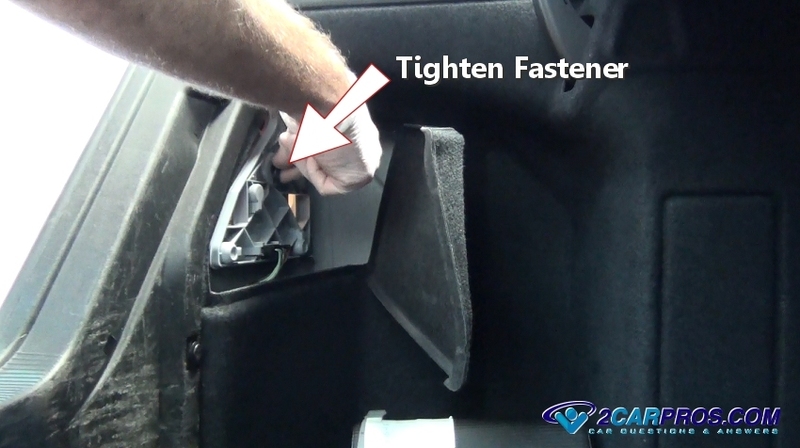 Step 1 - Identify the turn signal light (blinker) that has failed, insect both front and rear bulb operation. 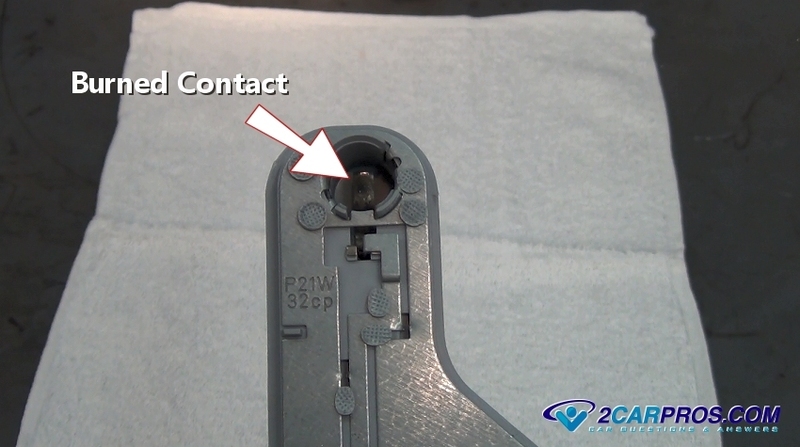 Step 2 - Gain access to the rear of the lens by opening an access door or removing a few screws to remove the panel. Step 4 - Grasp and turn the release fastener and pull the bulb housing plate from the lens. 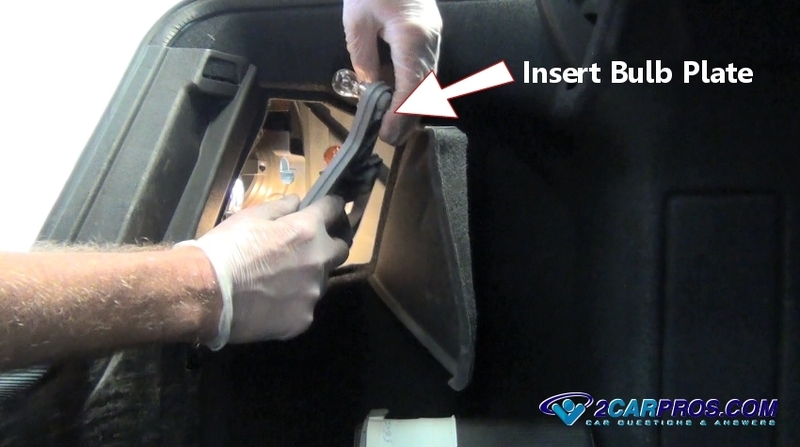 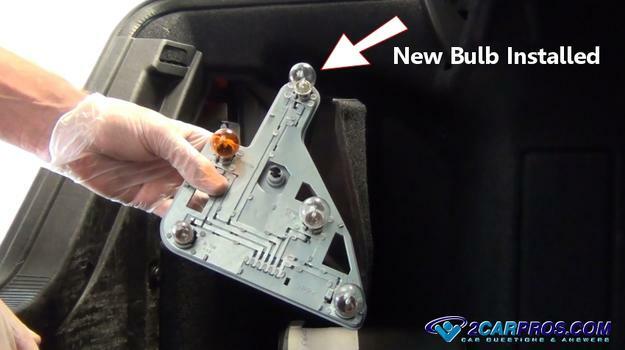 Step 5 - Once loose, gently remove the bulb mounting plate which will expose the various bulbs including the turn signal. 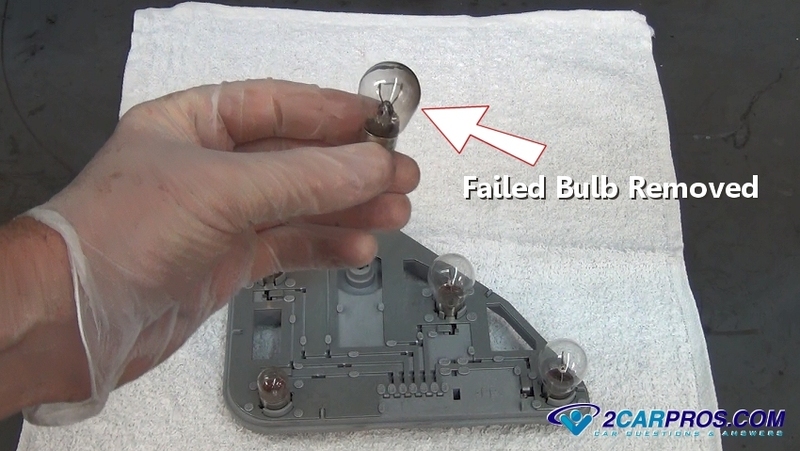 Step 6 - Identify the failed blinker bulb, this failure is sometimes accompanied by a darkish color inside the bulb glass. 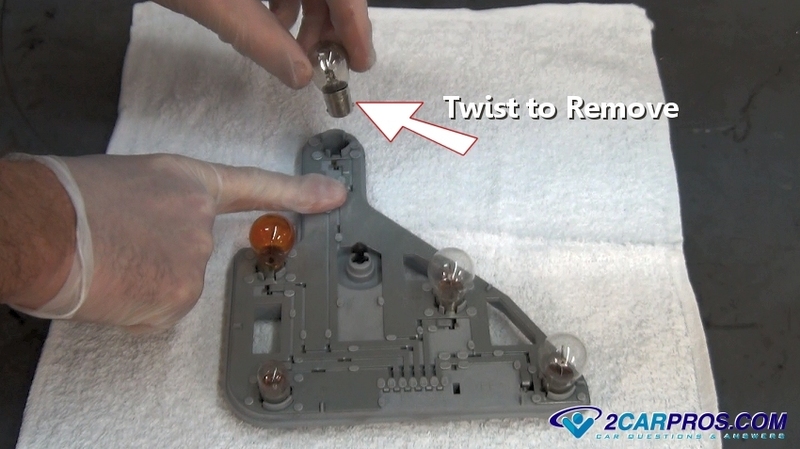 Step 7 - While holding the plate down, gently grasp the failed bulb and twist counterclockwise while pushing down slightly, then pull up to remove. 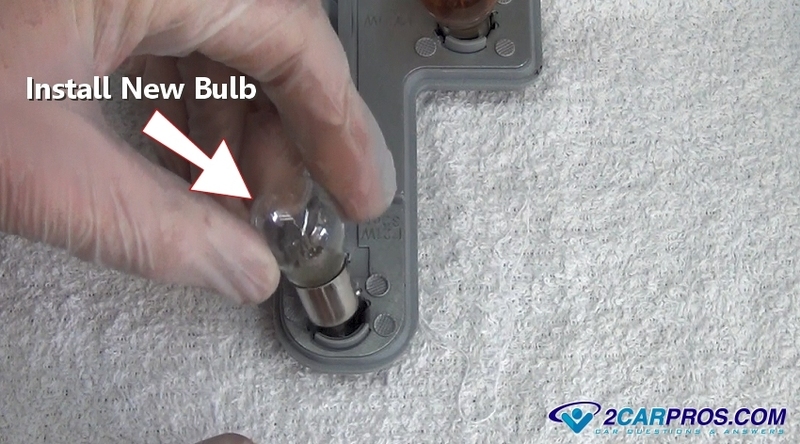 Step 8 - Once the bulb has been removed, inspect the bulb and socket for corrosion or damage. Step 9 - Occasional a bulb electrical contact can become overheated and burnt due a to high resistance of a poor connection, this will hinder the new bulb operation. 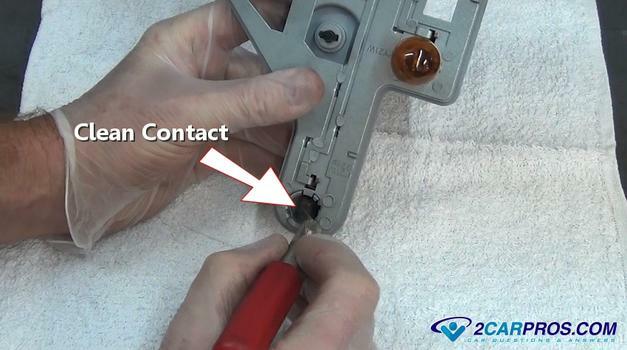 Step 10 - Using a sharp tool such as an Exacto blade, clean the contact by scraping the terminal to expose new metal. 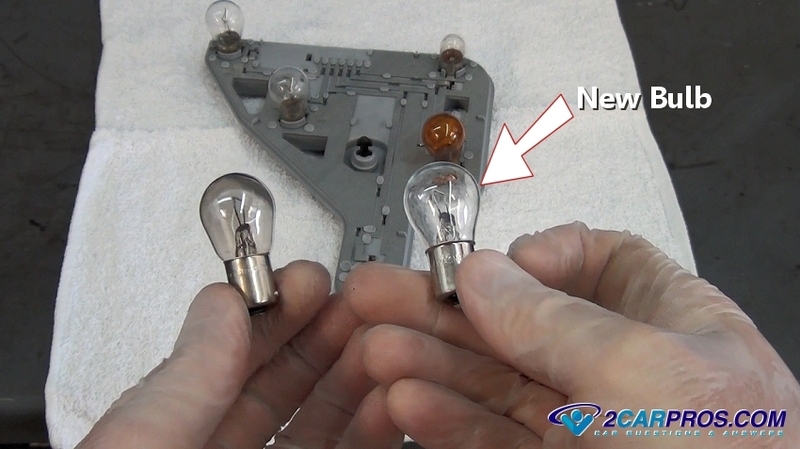 Step 11 - Match the new bulb to the old unit, they should match identically. 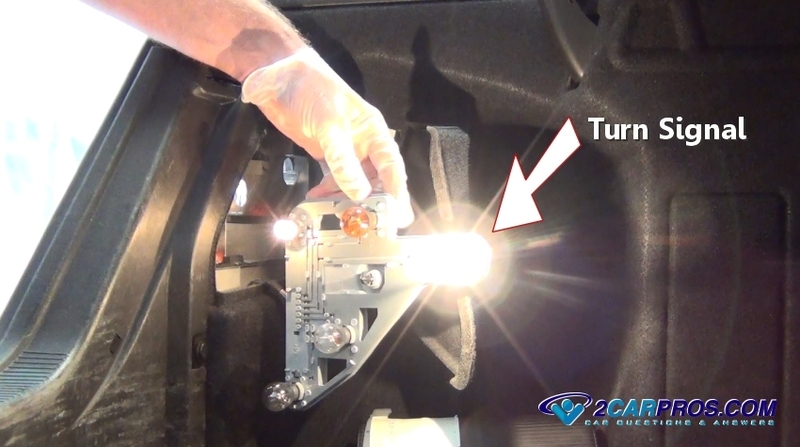 Step 14 - After inspecting all bulbs in the mounting plate the new bulb is ready to be reinserted into the lens. 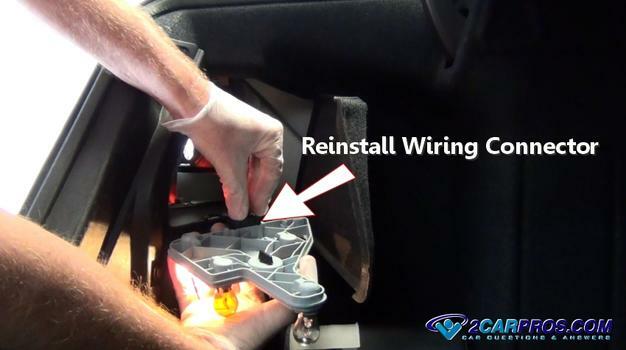 Step 15 - Reconnect the wiring harness connector to the blinker bulb mounting plate. 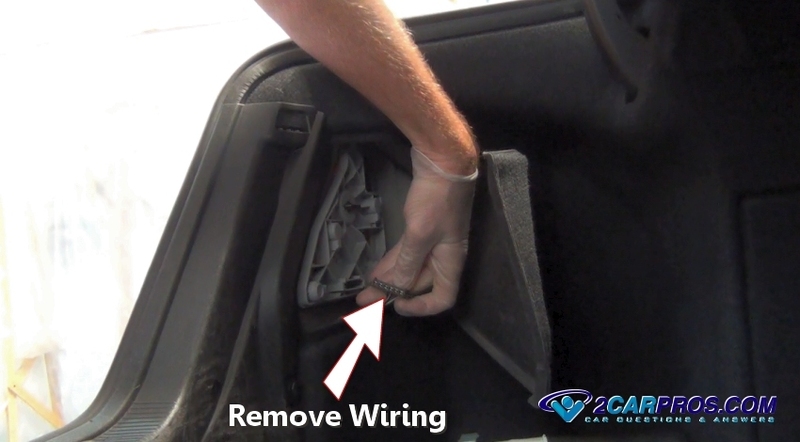 Step 16 - Turn the ignition switch "ON" while engaging the blinker lever to operate the bulb to ensure the repair is done correctly. Step 17 - Carefully reinsert the bulb plate onto the lens. 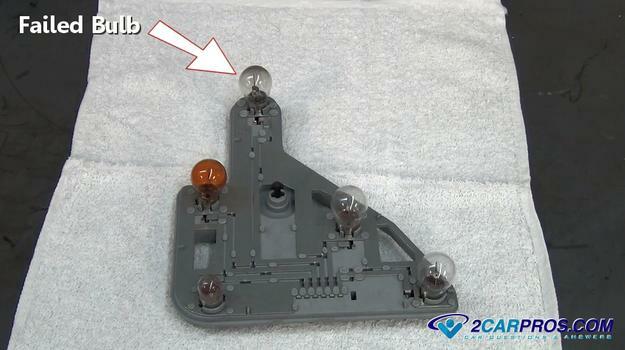 Step 19 - Once the repair is complete close the bulb plate access door. 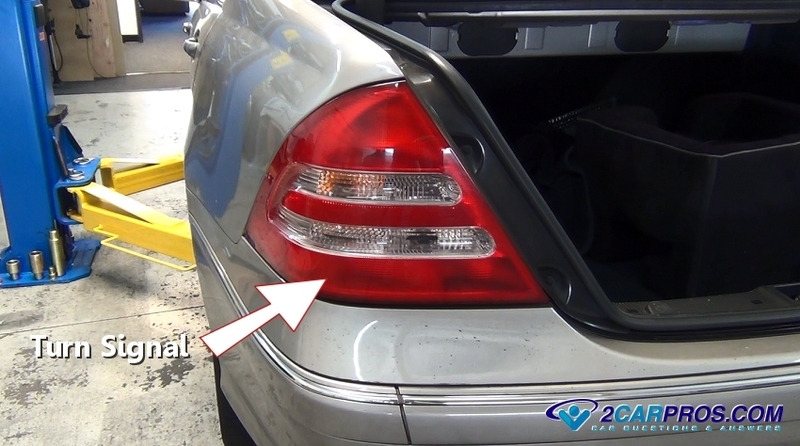 When replacing automotive bulbs use quality replacements to avoid premature failure. 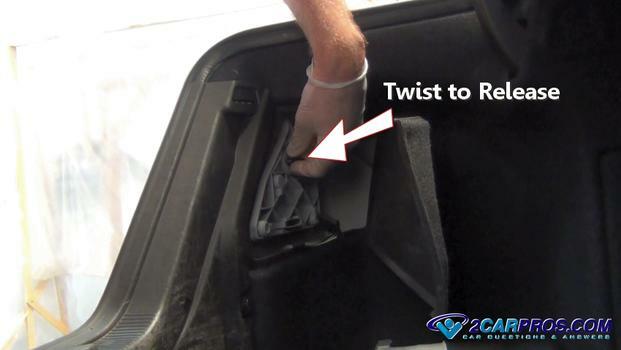 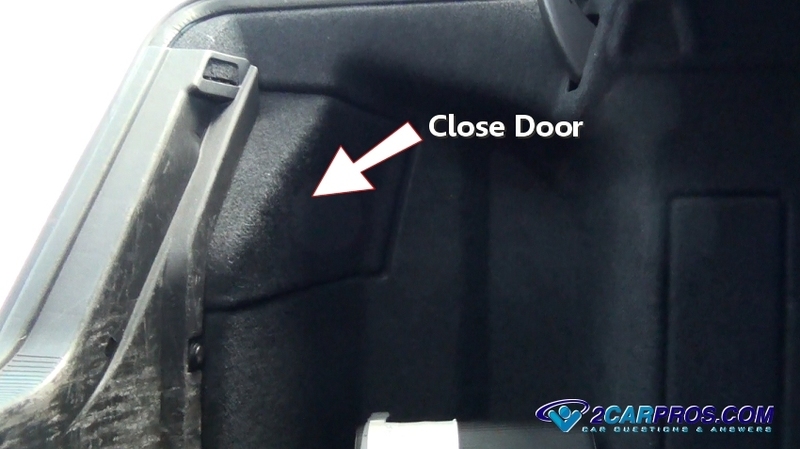 Some vehicles are not designed with an access door, in these cases the lens or plastic covers may need to be removed. 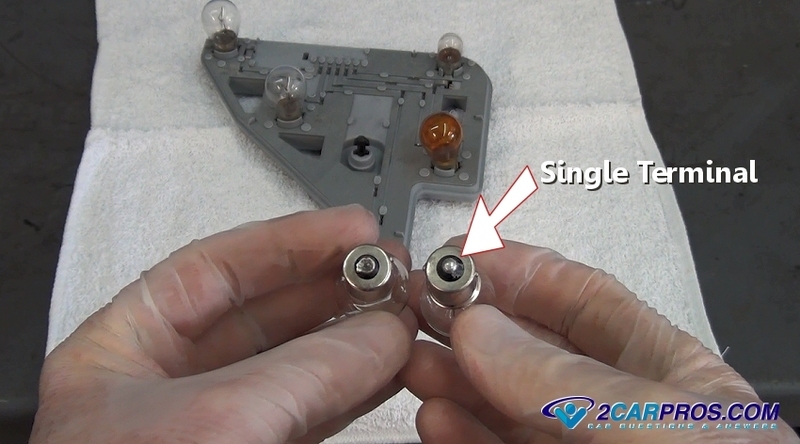 Bulb and socket configuration will vary per manufacturer.